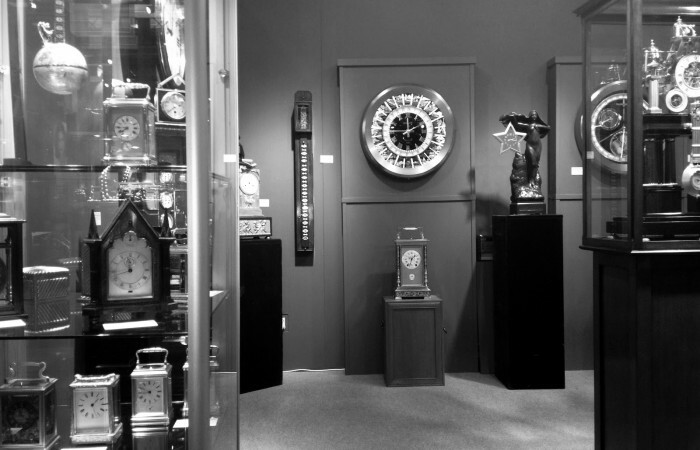 A wonderful example from the industrial series popular in French horology during the late 19th century. 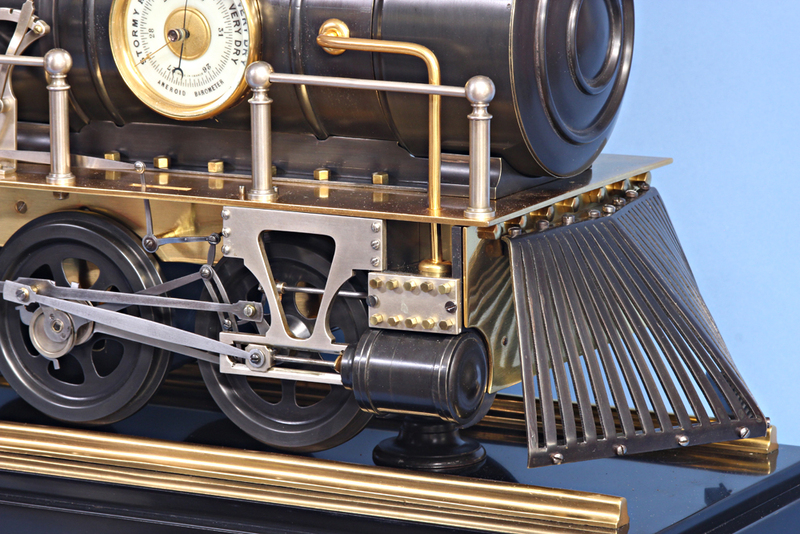 When the animation movement is wound the train’s wheels and linkages spin for about 1.5 hours. 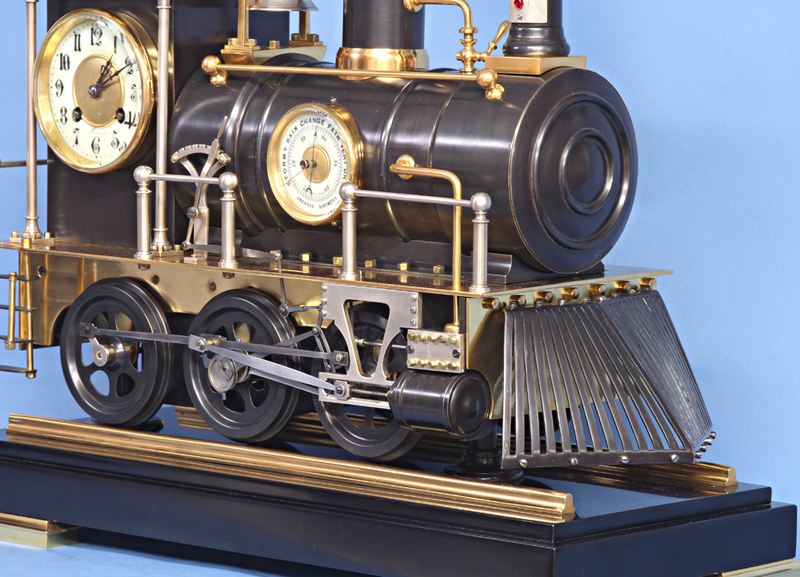 The gilt, silvered and patinated bronze case is in the form of a 19th century steam locomotive. 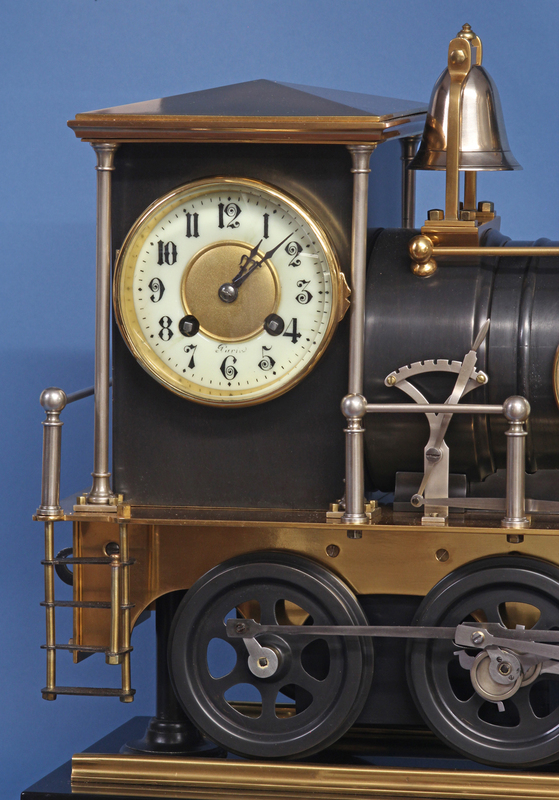 The engineer’s cab houses the clock while the boiler has the barometer and supports the smokestack with the attached thermometer. 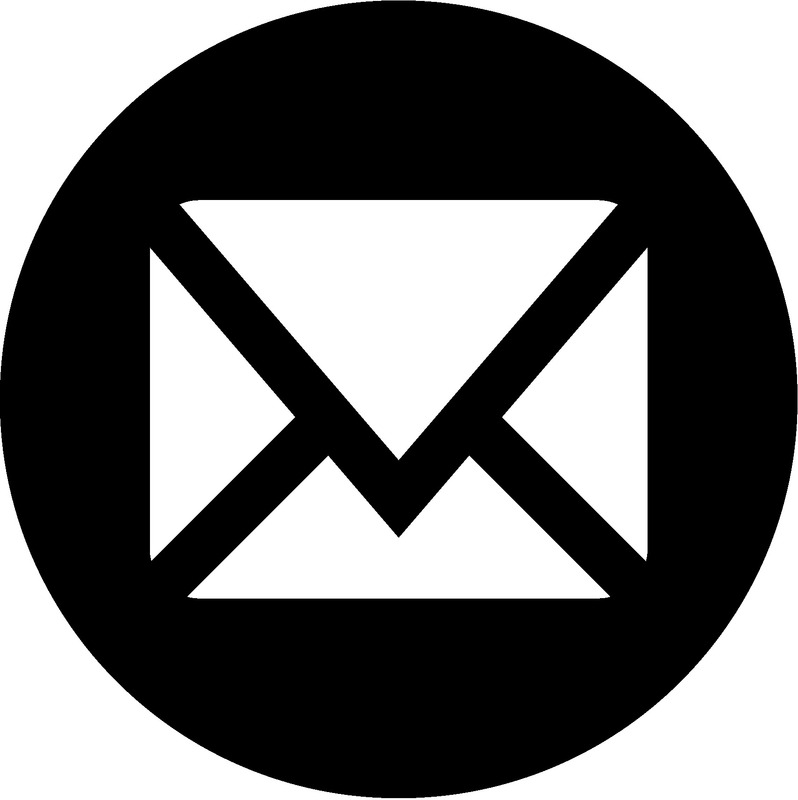 Below are the six animated wheels with numerous steel linkages and to the front is the cow catcher. 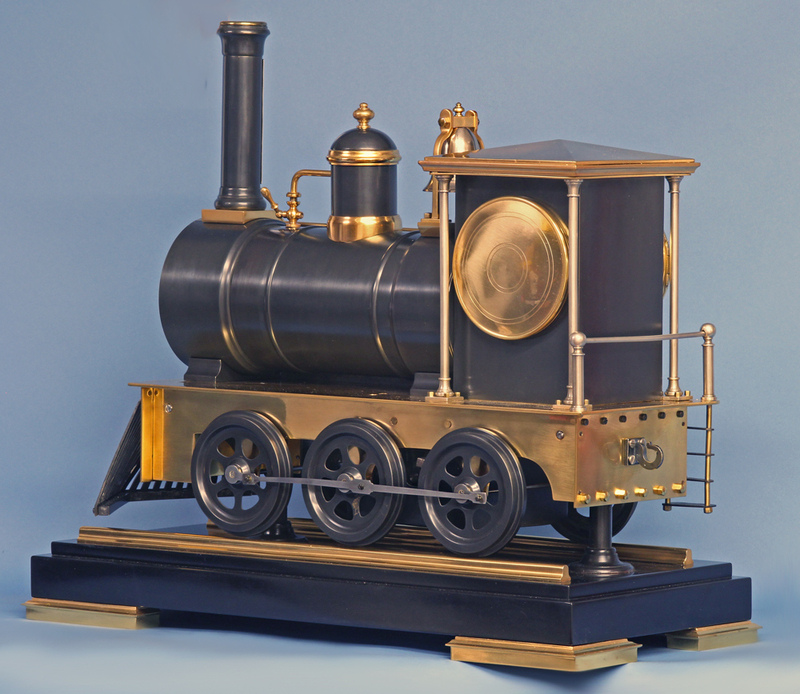 The whole sits upon a black marble base with gilt-bronze feet and rails. The white porcelain chapter ring clock dial has black Arabic numbers for the hours, a gilt bronze center and steel-cut hands. The white porcelain aneroid barometer dial has the indications in English, a gilt-bronze center and two indicator hands. The engraved silvered thermometer scale shows the temperature in Centigrade and Fahrenheit. 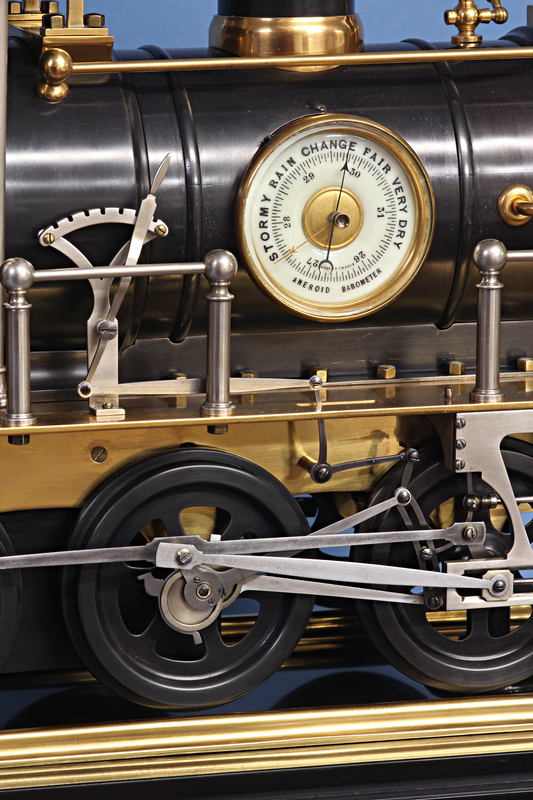 The eight day time and strike clock movement has a horizontally mounted balance platform and strikes on a gong. 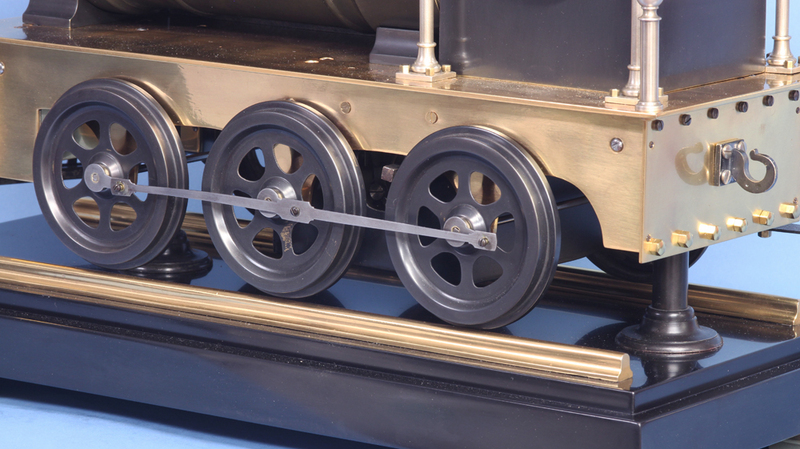 The large animation movement is mounted between the wheels, is wound out the side, runs for approximately 1.5 hours on each winding and has a start/stop lever incorporated into the design above. Although each model within the industrial series seems to be identical, subtle differences are common. In this example the stairs located at the rear of the train have an additional post unseen in other examples. 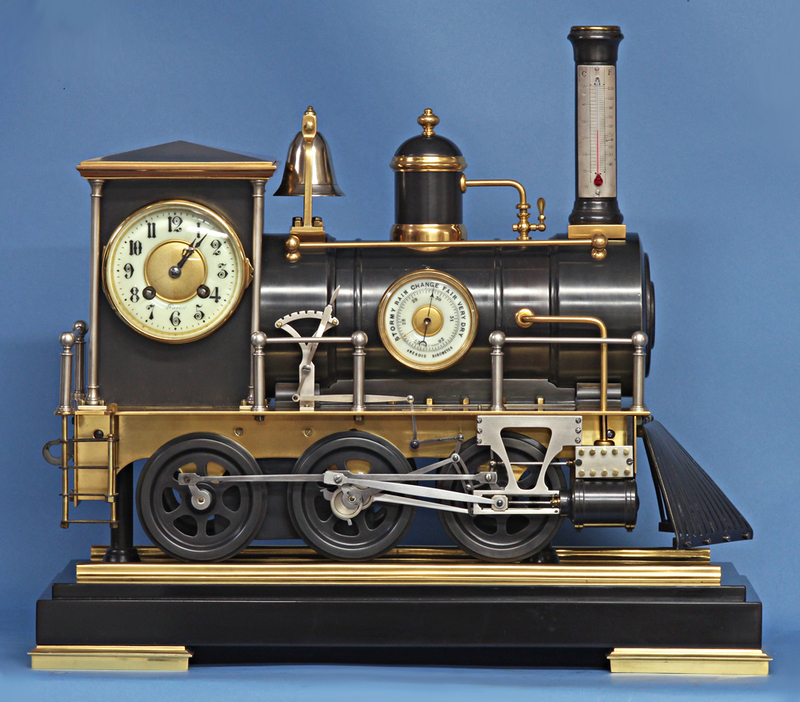 For additional information on the Train and other novelty and industrial clocks see Roberts, ‘Mystery, Novelty and Fantasy Clocks’. For a very similar example at auction see Sotheby’s, Meraux Collection, 6/93, Lot 5.